Meet Bert, Ernie and Grover when the San Francisco Zoo helps kick off ticket sales for Sesame Street Live. They'll come to the Zoo on April 17 & 18. Sesame Street Live “1-2-3 Imagine! with Elmo & Friends” apparently comes to the Bay Area in Oakland in June (though I can't give you a date, because as of when this was written, the date was not on the site's calendar). You'll be able to meet and take picturs with Ernie, Bert & Grover, plus enjoy live entertainment, coloring, music and an adventurous scavenger hunt. Plus, you can enter to win tickets to the show. 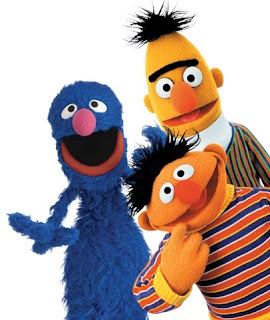 Click here for details on Bert, Ernie & Grover at the SF Zoo.